A team of researchers from the Institute for Molecular Bioscience at the University of Queensland in Australia has identified compounds found in spider venom as potentially helpful for treating chronic pains in people. There is no doubt that several people hate the sight of spiders, but the eight-legged arachnid has proven good when it comes to modifying its venom to treat severe pains in most classes of sufferers. More so, over 100 million Americans suffer from chronic pains – causing long-term disability, and this new-found compound could be the solution they are really after. Health professionals describe chronic pain as any pain lasting for over 3-6 months; and this usually comes about when certain nerves in the human body transmits continuous signals to the brain via pain network pathways. Identified as the most common pathway for chronic pain in people, the Nav1.7 has been targeted to receive spider venom compounds in order to address a wider range of painful conditions in patients. Using spider venom as a potential treatment for relieving chronic pain is not really a novel idea, because scientists have been interested in this study since they found that over 45,000 spider species kill their prey by injecting them with venom containing peptides – a protein molecule. Some of the peptides usually block nerve activity, giving scientists the idea that spider venom peptides could be used as pain relievers. The main problem however is that the large number of peptides available within a spider’s venom is not all useful to the use to which scientists desire to put them. 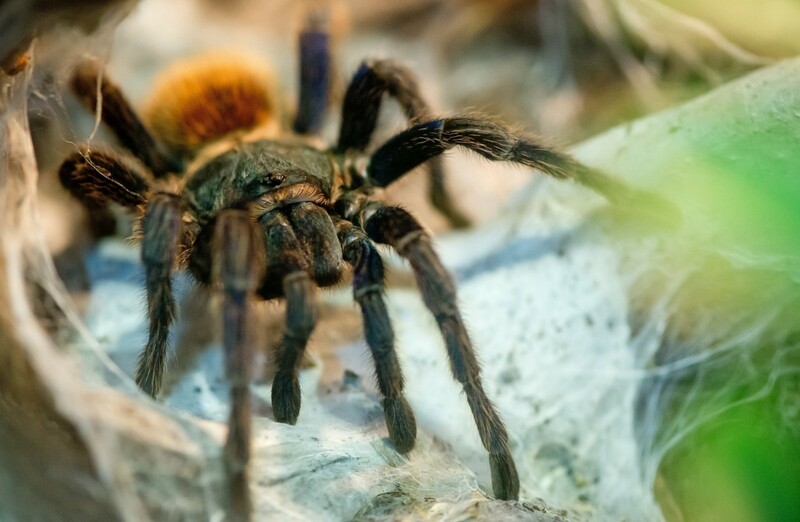 “A conservative estimate indicates that there are 9 million spider-venom peptides, and only 0.01% of this vast pharmacological landscape has been explored so far,” said study author Dr. Julie Kaae Klint, also of the Institute for Molecular Bioscience. Developing a “high-throughput fluorescent-based assay” system for quickly locating peptides that block Nav1.7 pathway, about 205 venoms belonging to different species of spiders were analyzed, and about 40% of venoms discovered to contain a minimum of one peptide to block Nav1.7 pain pathway in people. The researchers furthermore narrowed down these down to seven compounds, and the most promising candidate among them picked for a painkiller. Called the Hd1a, the selected painkiller candidate belonged to a spider species known as Haplopelma doriae, a member of the tarantula family. This compound is very effective at blocking the Nav1.7 pathway to kill human pains, and also chemically, thermally, and biologically stable as an effective painkiller in people. “The venom-based drug discovery pipeline described here provides a paradigm for high-throughput screening of animal venoms against other therapeutic ion channel targets,” said the researchers who believe they can equally extract protein molecules from other animal venoms.